“Today” took its rotating platform for a spin today with an interactive shoe segment. 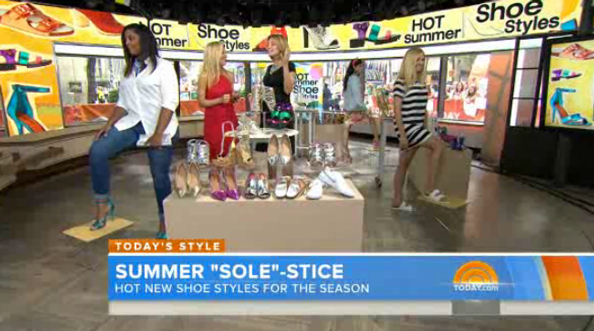 Anchor Savannah Guthrie and Gilt.com lifestyle editor Chassie Post showed off the hottest summer shoe fashions from the corner of Studio 1A normally used for home base, which features a circular section of the floor that can rotate 360 degrees. Multiple models were placed inside the outer edge of the platform and and, as Guthrie and Post transitioned between each one, the platform rotated. “Today” supplemented the segment with a “you be the director” online feature. The “Today” website billed the interactive camera as a way for viewers to call the shots as the director of the segment, but in reality it was actually a recording of a 360 panoramic that could played back and controlled by each individual user. Unlike some interactive live Web cameras that only allow users access to the controls for a brief period, this approach not only allows multiple users to enjoy the feature at one time but also accommodates the fact the show airs in multiple time zones. The camera, powered by Immersive Media, is available on the “Today” website and below, though it’s no clear how long it will be available. Click and drag your mouse to move camera. Use your "+" and "-" keys to zoom in and out. 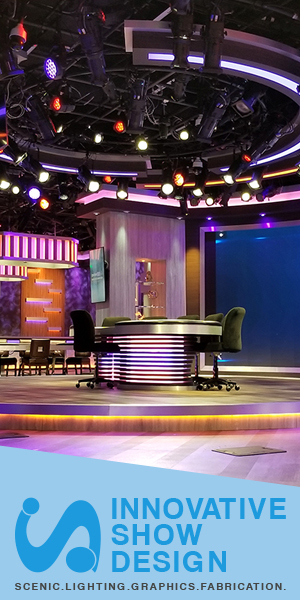 Immersive Media’s solution can be used for both live and on demand video and has been used by CBS News and Conan O’Brien.